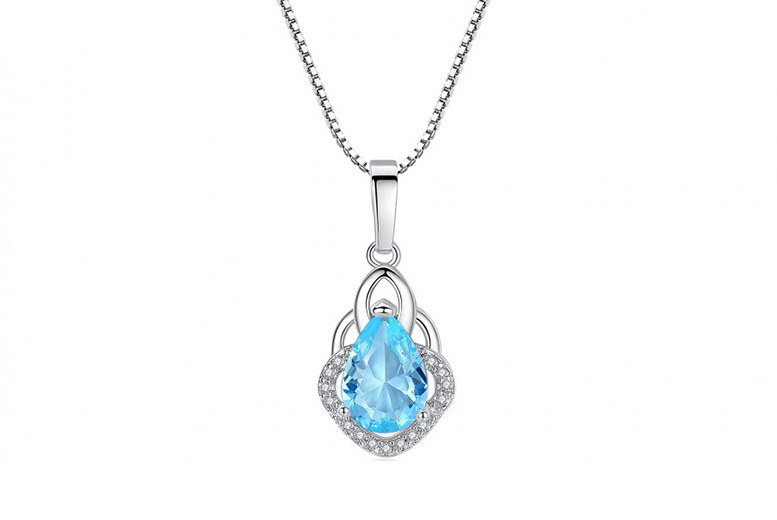 Sparkle in a light blue crystal pendant! With a beautiful pear drop design. With an adjustable chain measuring 18-20 inches. Presented in a luxury jewellery pouch. The perfect gift for a loved one!